iTunes 11 is the best thing to happen to Apple's media hub in a long time. But while the cosmetic changes are nice, there are still plenty of underlying problems with iTunes that need to be addressed. At its core, iTunes is still just a shopping mall with a snazzy jukebox attached. But it could be so much more. Here are five features we wish had made it into iTunes 11, and are hoping for in iTunes 12. If you don't own a track you want to listen to, the only way to get it from iTunes is to buy it. That was a winning model for years, but a lot of people don't use iTunes for the simple reason that they've turned to cheap subscription services like Spotify or Rdio instead. A flat $10 per month subscription fee for access to millions of tracks beats buying the latest hit record for 10 bucks. Apple's reportedly been trying to get all of the major labels on board for some kind of radio service like Pandora, but that has yet to materialize. And even then, the value of Pandora is rapidly diminishing because Spotify is so much better. Some sort of streaming service, though, would be better than the none that we've got now. If you pony up $25 a year for iTunes Match, Apple will store your music collection in the cloud and allow you to stream it. The problem? 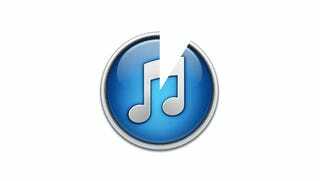 You need to use iTunes on a desktop or an iOS device to listen to the music. Lame if you use anything other than an iPhone, and double lame if you're sitting at a computer that's not your own. Sure, Apple's got an interest in making sure that the iTunes store is always just a click away, but the competition is offering a better service here. MOG has a a gorgeous HTML 5 interface you can use anywhere, and Spotify has said it will have one by next year. Google Music will let you store 20,000 songs in the cloud for free and stream them from anywhere for nothing. So why would you pay $25 for a less useful iTunes Match? Simply put, iTunes does a crap job helping your discover new music. Recommendations in the iTunes store based on what other "Listeners also bought..." don't count. It's a sales pitch Apple hopes will tempt you into an impulse purchase. And Genius? Genius remains a joke. Pandora's Music Genome and Spotify apps are awesome for discovery because you can find new music and try it out without paying a toll. Unless Apple gets licenses for a music subscription service, or at the very least makes Genius more helpful, iTunes might just keep sucking at discovery forever. No matter how smart the iTunes recommendation algorithm gets, it's never going to be better at recommending music to you than your friends. In the wake of Ping's implosion, Apple has finally added social sharing to Twitter and Facebook in iTunes 11. Unfortunately, it's poorly implemented. You can only share from the iTunes Store, and there's no way to see what your friends are sharing from within the application. Consider Spotify, which has nailed social music with deep, deep Facebook integration. In the Spotify client, you can see what friends are listening to and easily send tracks them. If you're not Facebook friends with someone, Spotify makes grabbing a URL easy. With their one billion and 500 million users respectively, meaningful Faceook and Twitter integration is no longer optional. Apple needs to bite the bullet and bake social into far more strongly iTunes so that people can advertise what they like to each other. Apple sells more tracks, your music collection gets better, everybody wins. For ages, the iTunes Store has been the cornerstone of the application, but whereas a decade ago it was a convenient way to legally get your music fix, it just feels tastelessly tacked onto the new streamlined interface. For all of Apple's attempts to integrate your listening habits with your purchasing habits this time around, the store's still not a seamless partner to the player. Apple should break it off into its own isolated zone, like the App Store on iOS or the Mac App Store on OS X.